I have no idea what the stories are of the people I saw, but no doubt they are beyond what I could imagine. More than anything, it left me feeling incredibly thankful for the opportunities I’ve had and the everyday blessings I’m surrounded by. 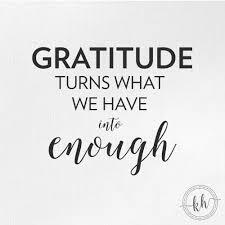 When was the last time you took a moment to really appreciate and feel your heart swell with gratitude for what you have in your life? Well today's the day to count yourself blessed, my friend! Because health isn’t just wellness in your body...first and foremost health start with mental well-being. I’m currently reading this incredible book called The Untethered Soul by Michael Singer (an amazing read!). He points out that just how our bodies can break down from neglect and disease, our minds can equally be unwell from allowing certain thoughts to dominate our mind space. Our cycling thoughts of incessant worrying, insecurity and fear are all signs of mental and psychological "non-well-being". Living in a part of the world that is relatively safe, not downtrodden with political unrest, war or famine, with accessible natural beauty and lots of SPACE. All the bonuses in life!- A special someone, your pet that offers unconditional love no matter what you do, having a vehicle, that warm cup of tea or coffee, working doing what you love, opportunities to travel, experience, grow…. This thanksgiving, practice the artful mind-state of GRATITUDE. Embody it, live it, say it! One of my favorite things to do at Thanksgiving dinner, whether it be by myself, with friends or with family, is to go around the table and say OUT LOUD AND PROUD 3 things I’m grateful for. If you’re with others, get everyone to take their turns. Everyone gets an opportunity to express thankfulness for 3 things to the whole table- big or little, doesn’t matter. You’d be surprised how quickly the room transforms. Be well my friends. Happy Thanksgiving weekend.